I have decided that I am going to start a new series of guest post’s, it’s called “Nothing but Romance” and it is going to be exactly that, an whole range of posts about Romance. Romance itself is such a diverse topic it can cover so many different angles, and you can enjoy romance in so many different forms everything from reading, listening to music and watching films and TV shows. Then there is how romance makes us feel and how romance is so important to have just a sprinkle of romance in our lives. We really don’t celebrate and talk about romance enough, and how it can be so beneficial for us so this is what my Nothing but Romance series is about. So ‘Nothing but Romance’ is open for all that love Romance and you are a Reader/Reviewer or Author then this is open for you. All posts will be added to the Nothing but Romance page, for everyone to read and enjoy and maybe be inspired by. The Guidelines – or lack of them! You must be a Reader/Reviewer or Writer (or apart of that community, in someway) with an interest in Romance. The post must be about Romance – here are just a few examples; Why you read/write romance, Why romance is important for us, What we can learn from romance, What we do to keep romance alive….You get the idea, but it’s up to you. The post will be yours to write about what ever you like about romance – yes, I am giving you free reign – as long as it’s not disrespectful, derogatory or abusive and if I feel it is, your post WILL NOT BE POSTED!! I will read everything before posting, so nothing will get past me! If you are an author and you are interested in participating in this new series, you are all welcome. You don’t have to have already been featured on Chicks, Rogues and Scandals to participate, as this new venture isn’t associated with my reviewing. If you are interested in me reviewing your work then please read my Reviewing Policy first. So if you think that this is something that You would be interested in participating in then you can contact me either direct on Facebook and Twitter or by using the form below. I am really excited about how this new project is going to go and what I am going to learn from it, my aim is to have a post out a month dependant on how many requests I get. This entry was posted in Miscellaneous, News, Nothing But Romance Series and tagged News, Nothing But Romance Series. I am changing my “Review Request Policy” so this will affect who and what I review, I decided to write a post instead of just editing my “Review Policy” because I wanted to explain my reasons for the change to my reviewing policy. I wanted to put the minds of those authors – that are on my books (so to speak) for reviews – to rest, and assure them that I am not giving up reviewing. I have just got to the stage in my reviewing life and my personal one where I need to make this change so that I can still review at the same high quality in which I review at now. If I don’t change my review policy it would mean letting authors down and that is something that I really don’t want to do. • I have previously reviewed your work before and enjoyed it (eg: I rated it a four or five stars on Goodreads). • I have featured you on Chicks, Rogues and Scandals (eg; Author Interviews or guest posts). • I am on your Reviewers Street Team. • I have shown an interest in your work on social media. This does mean that from now on until further notice I won’t be accepting new to me authors – unless I have shown an interest in your work – I am very sorry if this comes as a disappointment to anyone, but as I am about to explain it is just not possible to take on new authors that are not in the above categories. I am still happy to host guest posts, Spotlight and cover reveals and I am always on the lookout for authors to feature in my “A Chat With…” Author Interview Page. So, if you still want to feature on Chicks Rogues and Scandals just send me a message whether that be email, comment, Direct Messaging via Facebook or Twitter or even carrier pigeon, I will always reply. So why have I made this decision? For the last few months my life, both sides of my life – the reviewing one and my personal one – has been a whirl wind, there has been so much going on. I have got things going on in my family/personal life that I would rather not divulge on my blog, but let’s just say there has been trials and changes that I now need to do my reviewing around and not just alongside as I have always done. I hope that makes sense? The way that Chicks Rogues and Scandals has gone from strength to strength is just astounding and I am so very humbled by all the support that I have had, and the very kind messages that I get on a daily basis. It is very touching to get messages from my followers who tell me that I have inspired them to read more, or that I have introduced them to new authors. That, for me is the ultimate compliment and one that I am very proud of. That is one of the reasons that I started blogging, not just to share my thoughts and opinions on books and various others topic that I tend to babble on about, but to get none readers to pick up a book, to introduce new authors to fellow readers and I am rather proud that I have accomplished those set out goals. In the last nearly two years since Chicks Rogues and Scandals was born – two years in October! Wow, that has flown by. I have been so privileged to connect with the most amazing people that anyone could meet, a lot of those wonderful authors who have taken a chance on this amateur reviewer have become firm friends – I’m pretty sure you know who you are *cough* Unlaced Ladies 😉 and those fellow reviewers that I have met along the way have also become the some of the most important people in my life – I hope you six ladies know who you are (Carol, Rose, Shell, Alison, Gwessie and Amy). Yet, as well as Chicks Rogues and Scandals has been going there is a bit of a cost to that bit of success and that has to be the amount of review requests that I get. Don’t get me wrong I love getting the messages and emails on a daily basis from authors and publishers asking for a review from me, I get a warm feeling deep down. But it has got to the point now where I am turning down reviews, I hate writing those messages or emails saying to an author that I can’t review their work. I always feel callous and rude to reject those requests, which is why I have written this post. I hope this post has explained everything but if you have any questions then don’t be afraid to leave me a message, Thank you again for all the support and kindness that everyone has shown me. Now that I have put this new Reviewing Policy in place I no longer have to rush and get stressed when I’m late with a review, back to my chilled out of overly laid back approach. This entry was posted in News and tagged News, Reviewing Policy, Update. 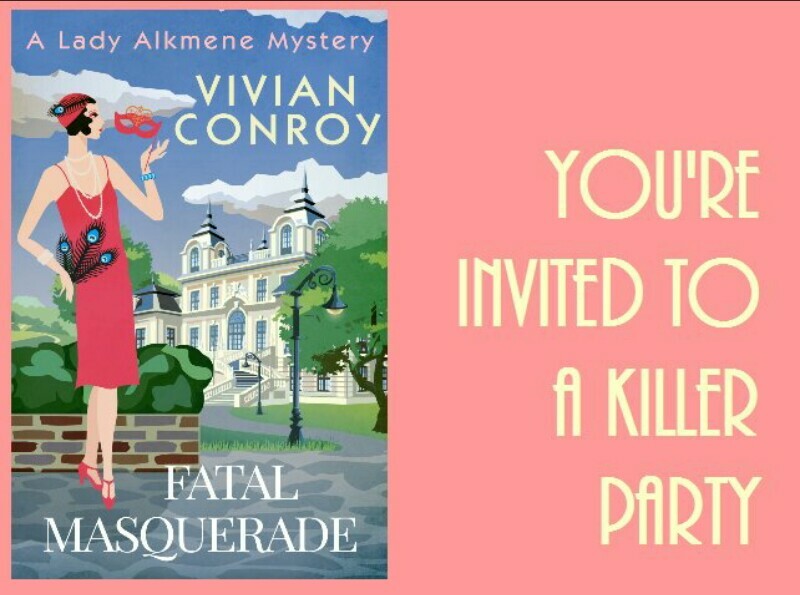 I have the great pleasure of being apart of Vivian Conroy’s latest Cosy Mystery Cover Reveal of Fatal Masquerade, which is book four in the Lady Alkmene Cosy Mystery series. So drum roll please…. Fatal Masquerade is to be released on 4th October and can be pre-ordered now at Amazon. This entry was posted in Blog Tour, Exclusives, News and tagged Cover Reveal, Exclusive, Fatal Masquerade, Lady Alkmene Cosy Mystery, News, Vivian Conroy. Vanessa Kelly Giveaway Winner is…. Congratulations Katrina, you will be contacted very soon so we can get your prize to you. This entry was posted in News and tagged Book Giveaway, Giveaway Winner, My Fair Princess, Vanessa Kelly. Fellow blogger Carol Cork from Rakes and Rascals has challenged me to do this Book Tag post. You must tag at least 4 people. That’s a tough one as I have so many books gathering dust on my bookshelf, but I think one of the longest resident’s has got to be PS. 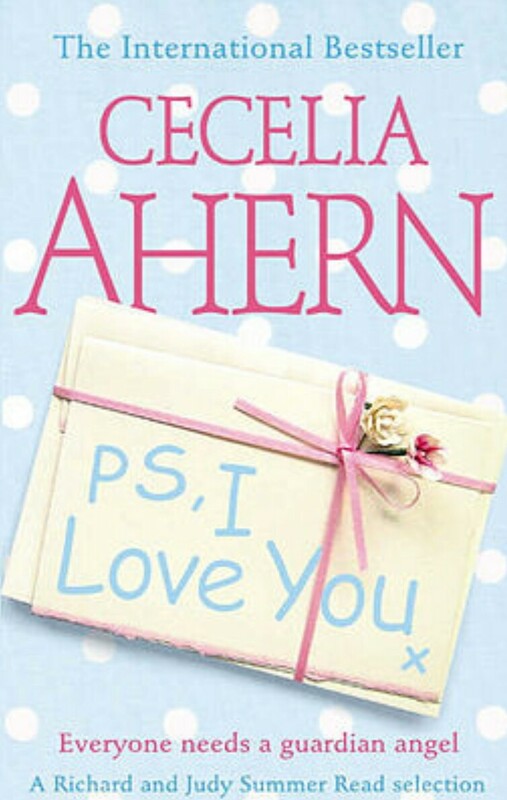 I Love You by Celia Ahern. I got it about the same time the film came out, I watched the film but as yet I haven’t even opened the book. The Madam of Blackstairs by Catherine Curzon. An Unexpected Bride by Lara Temple. Hard Hearted Highlander by Julia London. Oh that is easy! Fifty Shades of Grey, I never even finished it. I’m not actually sure! The first one that springs to mind is The Book Thief, again I have seen the film. I don’t tend to think that far ahead, I usually just go with the flow. Definitely wait! You miss out on so much If you just jump ahead. I think acknowledgements are really interesting, you get a sense of the authors thoughts at that time of their life. Oh that is such a hard question! I’m not sure I would like to permanently switch places with a character I’m too much of a home girl. If I could do it for a day, I wouldn’t mind switching with Eden Farraday from His Wicked Kiss by Gaelen Foley. I would love to walk in her shoes, she is smart, adventurous, so much more courageous than your average heroine, who has also caught the eye of my favourite Knight brother, Jack. None specific, every book I read sort of cements itself into my life in someway. I rescued a box full of mixed books from a skip once, my library was closing and they were dumping all the old and damaged books, so I saved them. Does that count? Yes! To my dad, it was for a big birthday for him so I gave him a box set of Mario Puzo books. My notebook, I’m always jotting down bits and bobs. I didn’t go to highschool, so never had to do “required reading”. Yes! I have read them all. Yes, The Notebook by Nicholas Sparks, great book but the film is so incredible. I don’t usually get effected in that way from a book. There is quite a few fellow reviewers/bloggers that I respect hugely, especially Rose Blue and Carol Cork, who are both incredibly honest and wise ladies. 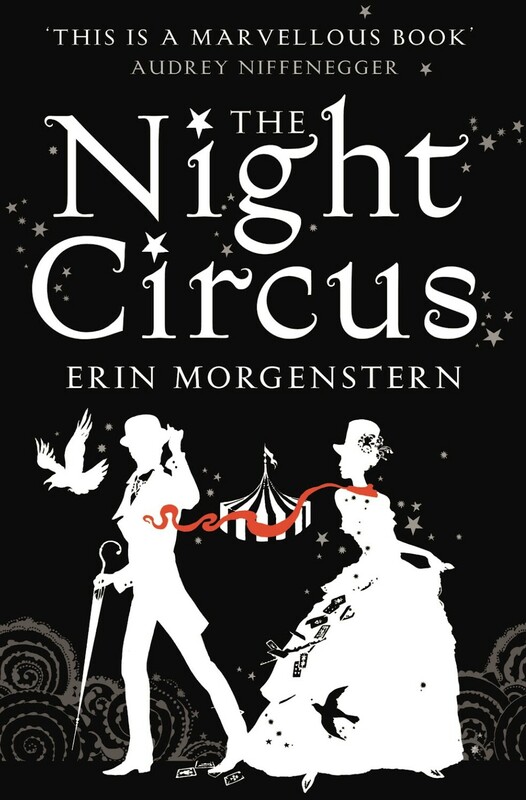 I think the book that spring be to mind is The Night Circus, I don’t usually go for magical themed books with timeslips so when I had this given to me I wasn’t sure. But it is hugely enjoyable, it keeps you gripped. This was a lot of fun, Thank you for the tag Carol. l look forward to reading your answers, ladies. This entry was posted in Interviews, News and tagged Book Tag, Interview. Congratulations Sharlene, we will be in contact with you very soon. This entry was posted in Give Aways, News and tagged Book/Audio Giveaway, Elizabeth Hoyt, Giveaway Winner, Maiden Lane. Today I am so pleased to have Harlequin and Mills and Boon author Elisabeth Hobbes chatting with me, so take a seat and let’s get to know a bit more about Elisabeth. You can find me hanging around The Unlaced Bookclub on Facebook along with other Harlequin Historical authors. I grew up in York where I spent most of my teenage years wandering around the city looking for a handsome Roman or Viking to sweep me off my feet. Sadly it never happened but I developed a love of the past and went on to read History and Art History at university before venturing into the world of teaching. I live in Cheshire with my husband, two young children and two cats with ridiculous names because the car broke down here in 1999 and I never left. I love historical fiction and have a fondness for dark haired, bearded heroes. When I’m not writing, I spend a lot of my spare time reading and have become something of a pro at cooking one-handed while holding a book! I’m fond of ginger mojitos and Thai hot and sour soup, though not at the same time. Reading Chick: Hi Elisabeth, Welcome to Chicks, Rogues and Scandals! Thank you for taking the time to chat with me today. Firstly what five words would you use to describe yourself? Elisabeth : Hi, it’s lovely to be here. Only five words. Hmm….Mum, teacher, frazzled (owing mainly to the first two), creative, geeky. Reading Chick : If you could live in any era and place, When and where would it be? And Why? Elisabeth : Not the Middle Ages, despite writing about the period and being fascinated by it I wouldn’t want to pay it more than a quick visit! I couldn’t cope with the lack of plumbing and hygiene. The Roaring Twenties and thirties in New York looked like an amazing time to be alive. The clothes, cocktails and music are all wonderful. I’d go hang around the Algonquin and try make friends with Dorothy Parker or pretend I was in a Jeeves and Wooster story. Reading Chick : Ooh! I like it, Who was your childhood hero? Elisabeth : Han Solo. He was so cool and I was a real tomboy so spent playtimes running around pretending to be on the Death Star. I first saw Star Wars when I was little, I don’t think I quite understood what I liked about him. Of course when I got a little older… Yum! That’s probably where I developed my love of rogues and heroes with slightly blurred moral codes and a dangerous twinkle. You never quite trusted he would do the right thing. Reading Chick : Totally agree with about wayward rogues. What is your favourite time of the year? Elisabeth : I love to be warm so summer (though I’m fond of winter because I love to ski). Teaching means I’m lucky enough to get a few weeks holiday travelling round France or Spain with my family and I love the light nights where I can sit outside with only a couple of layers on rather than bundled up to the eyebrows. Reading Chick : Out of all your work, who is your favourite character and why? Elisabeth : Oooh, difficult, I love all my children! Generally I’m fondest of whoever I have just written so in this case it’s Roger Danby, the roguish brother from The Blacksmith’s Wife who has now got his own story. If I have to choose a previous one I have a bit of a soft spot for Will, the hero of A Wager for the Widow. He’s flirty and cocky (there’s that Han Solo influence) and like me he prefers his oysters cooked to raw. Reading Chick : Where does your inspiration for your books come from? Elisabeth : Places play a huge part in my ideas. The Blacksmith’s Wife is set in York where I grew up and on the nearby moors that I love to visit, because I wanted to take a city girl and put her in the middle of nowhere. I fell in love with St Michael’s Mount in Cornwall and thought it was such a beautiful, isolated place for a character to withdraw from the world so I gave it to Eleanor in A Wager for the Widow. The Saxon Outlaw’s Revenge sprang from walking around the Cheshire countryside on a damp, misty day and imagining the execution of a group of unsuccessful rebels and needing to find out who they were. One day I’m going to set a story in Briancon, the lovely Medieval town I stay in when I go skiing. Reading Chick : What a great answer, What three tips would you pass on to an aspiring author? Elisabeth : Keep notebooks or paper everywhere because you never know when the perfect sentence or line of dialogue might pop into your head and there’s nothing worse than only half remembering it (deciphering my 3am pitch black scribbles is always fun). Write something every day, even if it is only one sentence because they do build up and you can’t edit nothing. Join some sort of writing group, whether online or in real life and be prepared to take criticism. Some people are brutal but mostly I’ve found other writers to be a supportive group are really happy to offer suggestions and advice. Elisabeth : There would have to be other authors so I could pick their brains. Terry Pratchett and Jane Austen because they’re two of my all time favourites and I suspect they’d both enjoy talking about how they deal with class and convention. The third would be Tom Hiddleston so I could apologise for the cover of The Saxon Outlaw’s Revenge looking nothing like him (not that I don’t like the model I got)! Reading Chick : Thank you, Elisabeth for taking the time out of your busy schedule to chat with me today, I have just one more cheeky question, just for fun . . . What is your all-time favourite naughty but nice food? Elisabeth : My naughty treat is crisps. I’m a savoury rather than sweet girl (I’m sure many would agree) and I could eat my way through bag after bag if I wasn’t disciplined, especially if I had a glass of wine to hand. It’s been a pleasure. Thank you for having me. Thank you for chatting with me, it’s been a pleasure having you visit. If you want to know more about Elisabeth and her work, then check out the links below. This entry was posted in Historical Romance, Interviews, Medieval Romance, News and tagged A Chat With. . 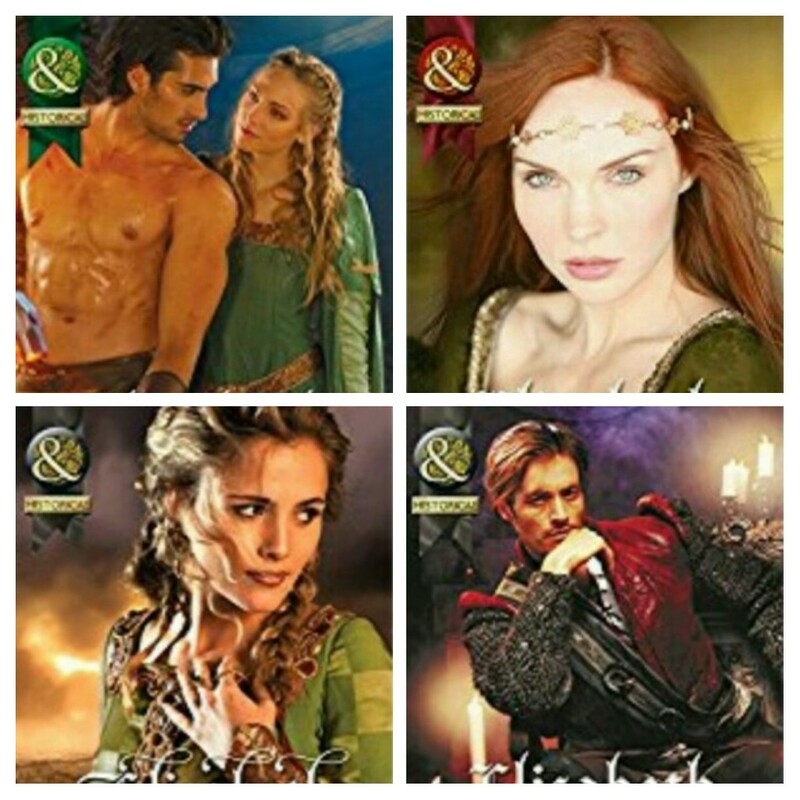 ., Author Interview, Elisabeth Hobbes, Harlequin, Interview, Medieval Romance, Mills and Boon, News.